"Sheldon Vanauken is a Christian writer known for his luminous intelligence and literary style. But few of his readers are aware that he considers himself to be first and foremost a poet. 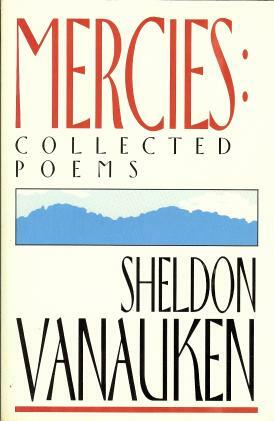 In Mercies, all of Vanauken's poems are now available, including several that have never been published before: the poems of faith and doubt derived from the years described in A Severe Mercy; poems of hope and wonder 'written' by the heroine of his novel, Gateway to Heaven; satirical and humorous poems which take aim at 'progressive' clerics, feminists, and other ideologues. All of the poems collected here reflect the faith, wit, laughter, and tears that mark Vanauken's peculiar imaginative abilities. These are poems that should not just be read, but lived with. Click on the link above to download and listen to a recording of Sheldon Vanauken reading his poem, The Gap. This recording is reproduced here by permission of the Martha Arney Library for the Blind.